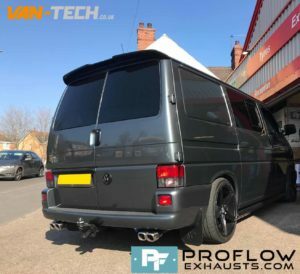 Custom built Proflow Custom VW T4 Exhaust Dual Exit Twin Tailpipes made from Stainless Steel. 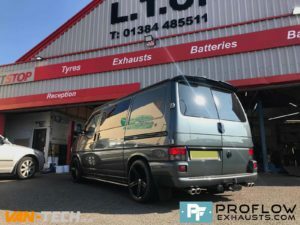 Another Great Job completed by Proflow Exhausts and Van-Tech! 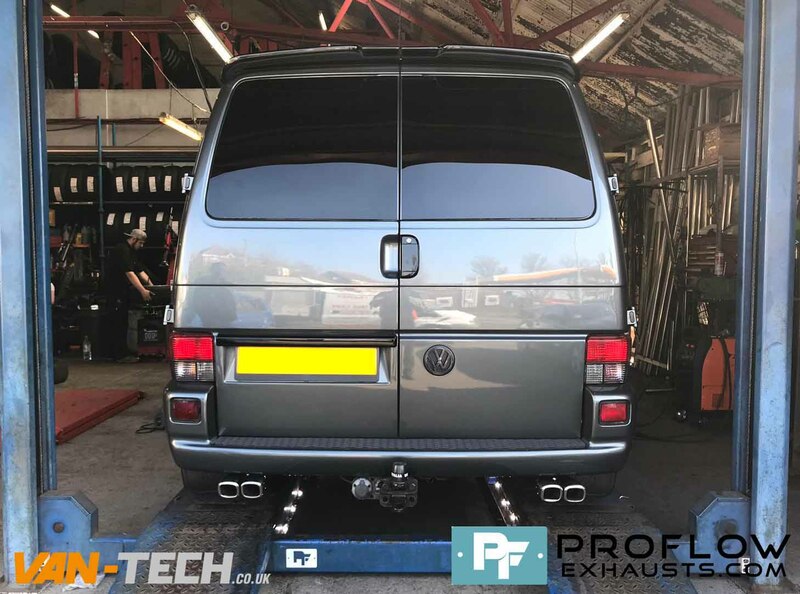 Proflow Design and fit Bespoke exhaust systems for VW Transporter T4, T5 and T6 Vans give us a call for a quote for your Vehicle! Tel: 01384 485511 for details. ProFlow Exhausts are made from T304 grade stainless steel. Excellent quality with a life time warrantee. 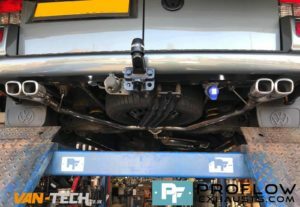 The sale price quoted include fitting, you are required to take your vehicle to our exhaust fitting centre located in – Brierley Hill, West Midlands, DY5 3JN. 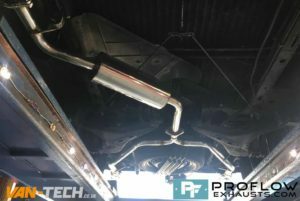 Proflow Exhausts reserve the right to make changes to the exhaust depending on the vehicle, charges may apply for additional work. Proflow Exhausts have been fitting High Quality Bespoke Stainless Steel Exhausts for Over 10 years and have a huge portfolio of work which can be viewed on our new website.